After making the Mango Corn Salsa, I realized I also needed a seafood dish. James chose shrimp, so I started thinking about some potential flavor combos. Then I thought about Coconut Shrimp. I'd gotten some shredded coconut since I'd planned on making some Coconut Tofu. Except I used the tofu for something else. 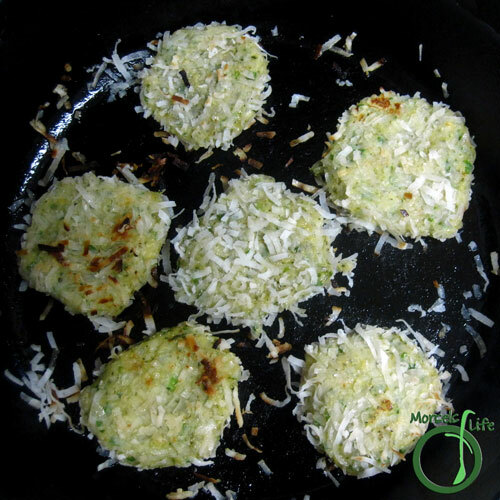 Instead of making the usual Coconut Shrimp, I thought making Coconut Shrimp Patties would be a fun, new recipe and allow me to incorporate even more coconut flavor. 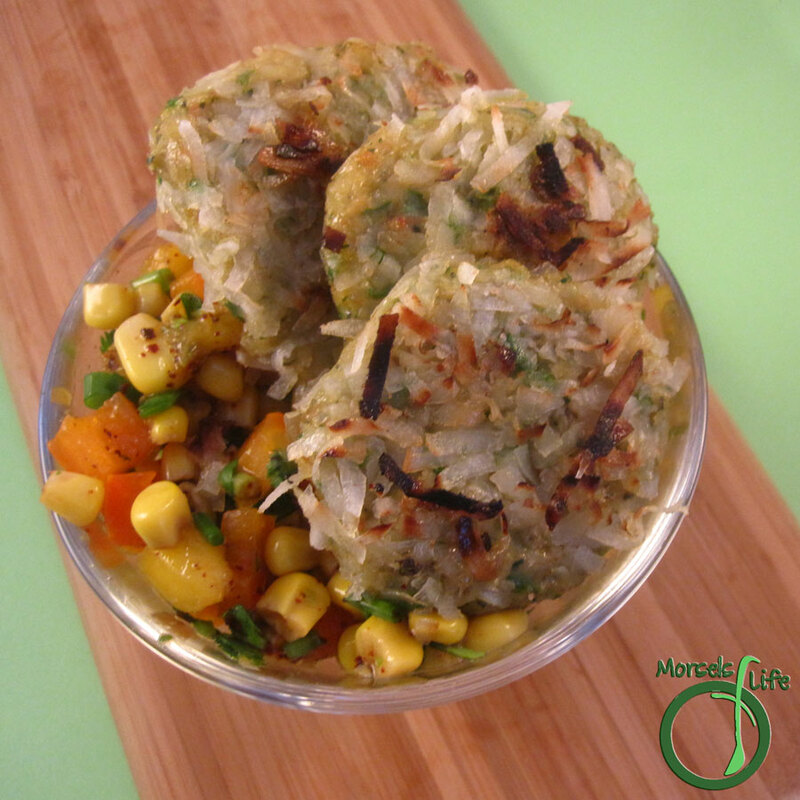 We served these coconut shrimp patties with the Mango Corn Salsa, and the Sweet Chili Sauce would also go well. 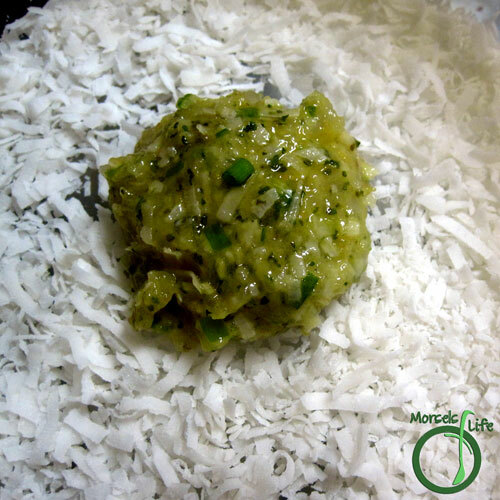 What's your favorite way to eat coconut? 2. 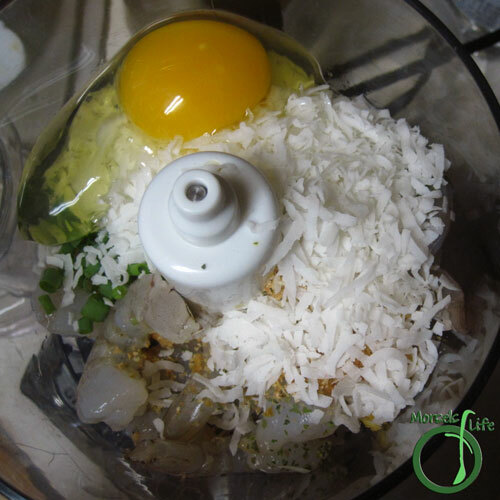 Pulse together shrimp, garlic, green onion, lemon zest, egg, and cilantro until just mixed. 3. 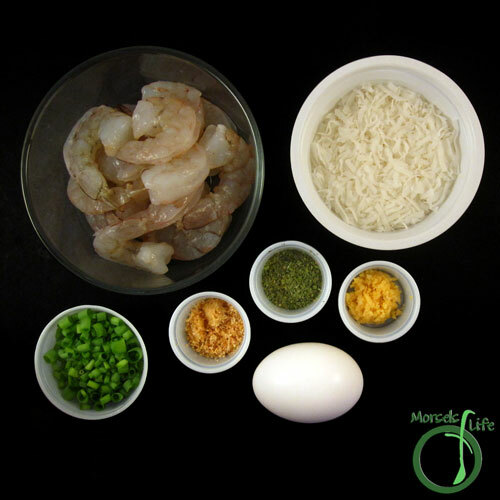 Take a portion of the shrimp mixture and cover it with coconut. 4. 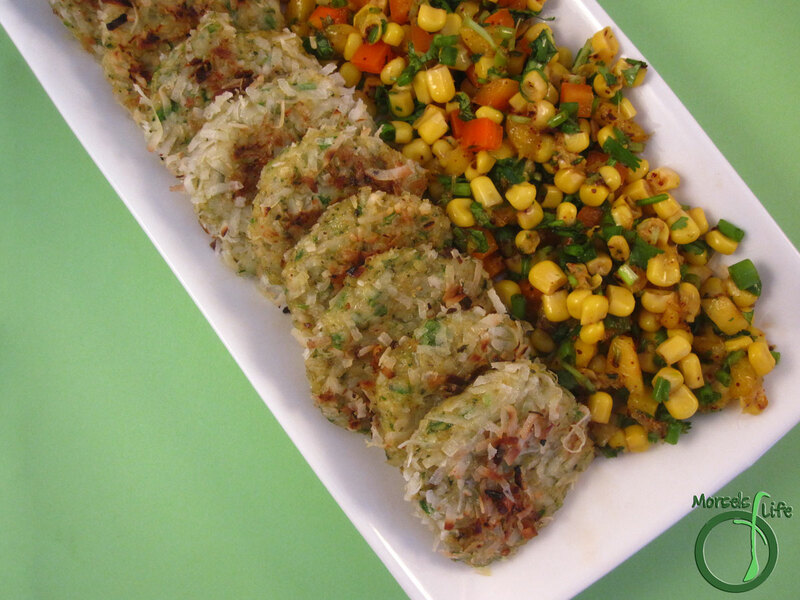 Pan fry the shrimp cakes until crispy on each side. What a yummy recipe! Thanks for sharing at the What's for Dinner link up! That is really different and it looks delicious. I love coconut shrimp but never had it in patties! A lot less work when eating! Thank you so much for linking at #overthemoon! I look forward to seeing what you share every week. Please come back for #WonderfulWednesday or #ThursdayFavoriteThings. Don't forget to comment your link #'s so I can be sure to visit and you get a chance to be featured! Pinned and shared. I think it makes it a bit more fun to eat too. :) Thanks for stopping by! 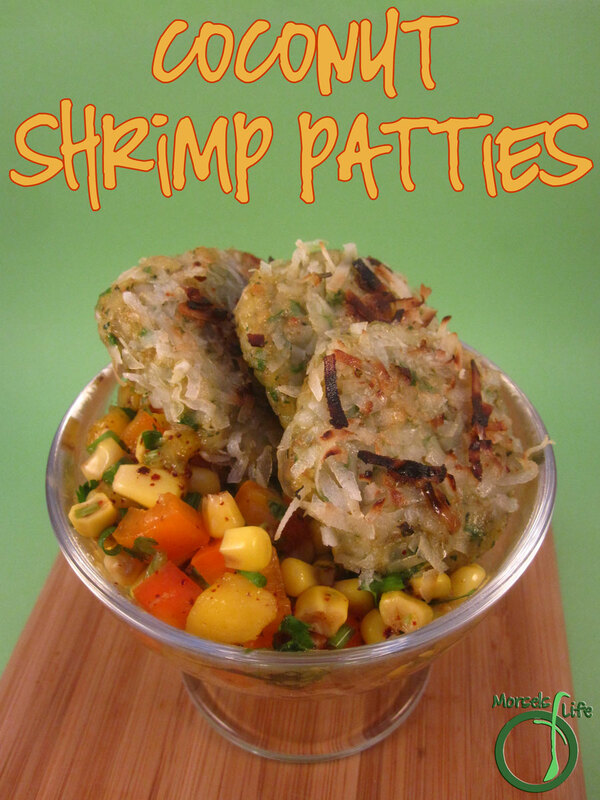 This is ingenious - I love the idea of coconut shrimp in patty form. Thank you so much for sharing at the Delicious Dishes Recipe Party! I'm not a shrimp eater but I love coconut. I wonder if this would work with chicken. Will have to try it out and let you know. Either way my hubby would love this dish. Thanks for sharing.